Buses are air-conditioned and the size of the bus depends on the number of passengers booked for that particular day. Travel across the Golden Gate Bridge and through the rugged coastal mountains of Marin County. Experience magnificent views of the San Francisco Bay and valleys, where the Coastal Miwok once lived. Our first stop is Muir Woods National Monument, where ancient groves of Giant Redwoods (Sequoia Sempervirens) tower over Redwood Creek. Our 1¼-hour stop is the most time offered of any other tour company. Muir Woods entrance fee included. Next, embark on a 60-minute Bay Cruise past the famous Pier 39 sea lions and along San Francisco’s historic waterfront, revealing the city’s fascinating skyline. After you sail under the Golden Gate Bridge, you’ll circle Alcatraz Island and see every angle of this mysterious island. Other attractions include Angel Island, the Ellis Island of the West, and the magnificent skyline of San Francisco. This comfortable Bay tour has both indoor and outdoor seating with full narration describing major landmarks as you sail by them. Harbor porpoises have returned to the Bay! 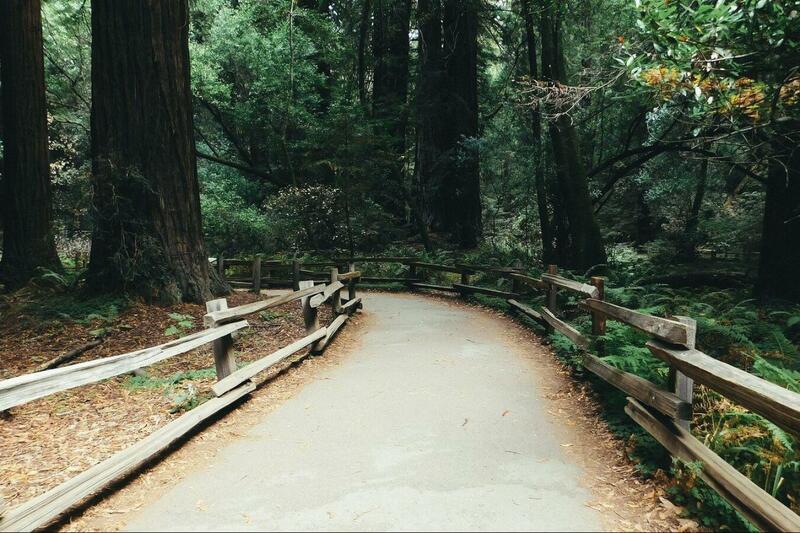 Due to changes that the National Parks Service has made to the parking reservation systems for Muir Woods, from May 15, 2018, we are unable to guarantee specific tour times to this popular destination at the time of booking. The Muir Woods and Sausalito tour lasts approximately 4 hours and all guests purchasing this, either as a standalone product or a combination tour, will be contacted by email one week prior to your tour date to confirm the timing of your tour. While we appreciate that this may not be ideal for your trip planning, unfortunately, these are circumstances beyond our control and we, like all tour companies, are restricted in the times that bus parking will be available. We hope that this does not spoil your trip to San Francisco and that you will join us to experience the majesty of the towering redwoods and natural beauty of this world famous historic landmark. Tour guide was very knowledgeable and friendly. But the ferry ticket I had to purchase to get to the Bay Cruise should have been paid for by Gray Line. 45 mins at Muir Woods is short. Would recommend an hour at least. We were very pleased with the tour to Muir Woods and the information received. Also appreciated that we were returned to our hotel. Our guide was great. The cruise was amazing and the tour was really informative and fun.